Shanahan told lawmakers last week that he would welcome the investigation. The Pentagon's Office of Inspector General has opened an investigation into complaints of alleged ethics violations against acting Defense Secretary Patrick Shanahan. In a statement on Wednesday, the Department of Defense Office of Inspector General said it had recently received a complaint that Shanahan "allegedly took actions to promote his former employer, Boeing, and disparage its competitors, allegedly in violation of ethics rules." In a separate statement, the Pentagon said on Wednesday that Shanahan "has at all times remained committed to upholding his ethics agreement filed with the DoD." The complaint was filed to the Pentagon's Office of Inspector General last week by the watchdog group Citizens for Responsibility and Ethics in Washington (CREW). 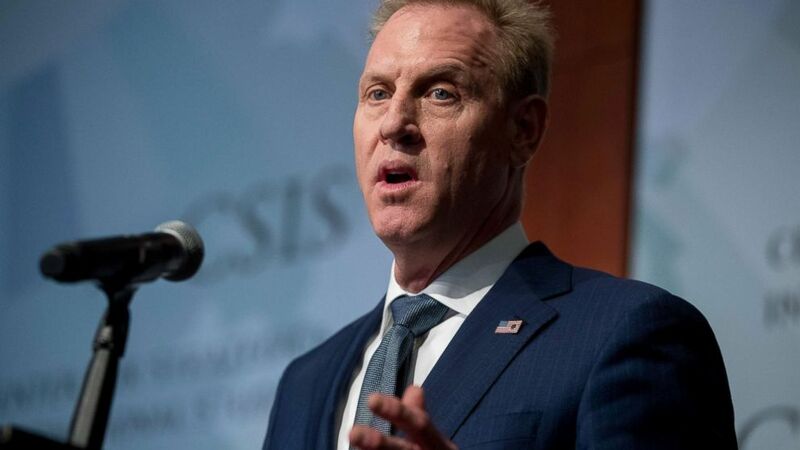 (Andrew Harnik/AP) Acting Defense Secretary Patrick Shanahan speaks at the Center for Strategic and International Studies, March 20, 2019. Asked by Sen. Richard Blumenthal, D-Conn., about CREW's complaint, Shanahan told the Senate Armed Services Committee last week he would welcome the investigation. (J. Scott Applewhite/AP) Acting Defense Secretary Patrick Shanahan goes before the Senate Armed Services Committee to discuss the Department of Defense budget, on Capitol Hill, March 14, 2019. When he transitioned to the Pentagon as then-Defense Secretary James Mattis' deputy in 2017, Shanahan said he divested his financial interests related to Boeing and signed an ethics agreement barring him for participating in Boeing-related activities -- as is typical for government officials transitioning from the private sector. 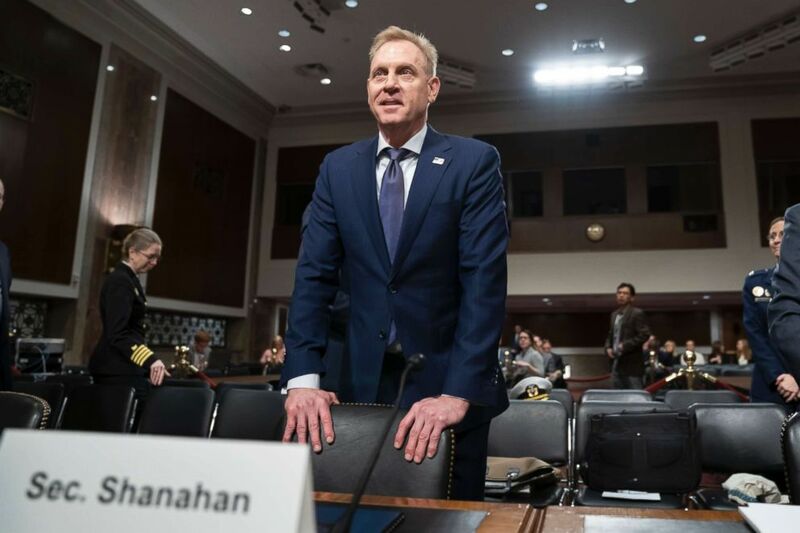 "For the duration, if I'm confirmed, I will not deal with any matters regarding Boeing, unless cleared by the Office of Ethics," Shanahan told the Senate Armed Services Committee during his confirmation hearing on June 20, 2017. "We will put in mechanisms so that my calendar, the meetings that I'll participate in, that we can screen to make sure that there are no matters related to Boeing that I will be exposed to." Earlier this month, American Oversight, a liberal watchdog group founded by former Obama administration officials, filed a lawsuit against Shanahan, alleging that his Boeing ties "have given the company undue influence." The group charged that the Pentagon failed to respond to four Freedom of Information Act (FOIA) requests for information relating to those ties. "We are aware of the FOIA request submitted by American Oversight and are responding appropriately," Lt. Col. Joseph Buccino, Shanahan's spokesperson, told ABC News at the time. "Secretary Shanahan has at all times remained committed to complying with his ethics agreement, which includes a screening arrangement that ensures Boeing matters are referred to another appropriate DoD official." Shanahan has been rumored as a possible contender to receive President Donald Trump's nomination as his next defense secretary. The president praised Shanahan's performance during a visit to an Abrams tank facility in Lima, Ohio on Wednesday. Shanahan, along with Army Secretary Mark Esper, accompanied the president on that trip.